One of the most central neighborhoods in Athens is Makrygianni, right where the Herodion is located. 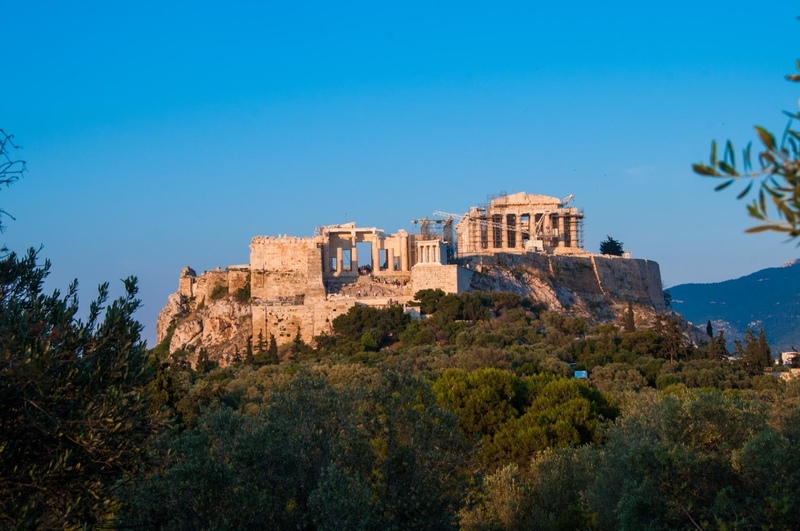 Here are some of the top sights you can see just a short walk away including some of the most significant sights you’ll want to see while in Athens. Our neighborhood lies on the south side of Acropolis. It is part of the Acropolis neighborhood itself, bounded between Dionysiou Areopagitou and Syggrou avenues. The name comes from Ioannis Makrygiannis, a Greek general in the Greek War of Independence in 1821, who used to own a home here. A statue of the general stand here today. 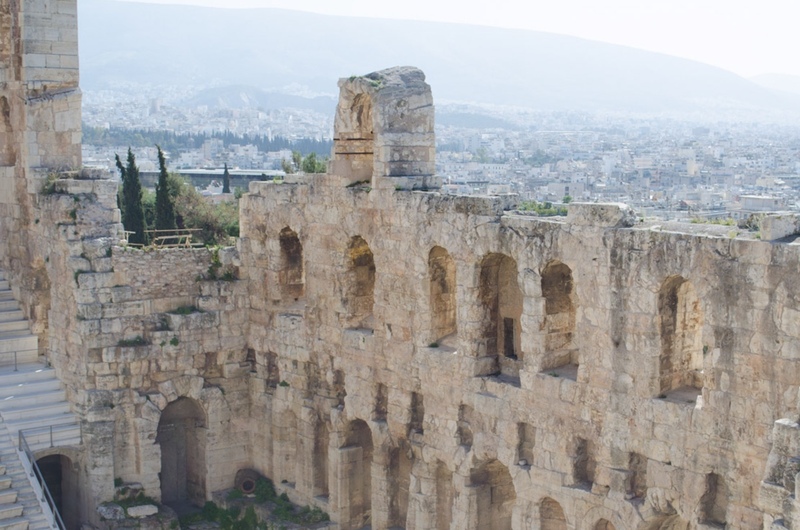 Also near the Acropolis is the oldest ancient theater in Europe and Western civilization itself: The Theatre of Dionysus. Considered one of the most important and beautiful museums in the world, the Acropolis Museum is a must-see while in Athens. This archaeological museum displays the artefacts found at the Acropolis of Athens. It reopened in 2009, designed by famed architect Bernard Tschumi. There are fantastic marbled collections on all three levels. 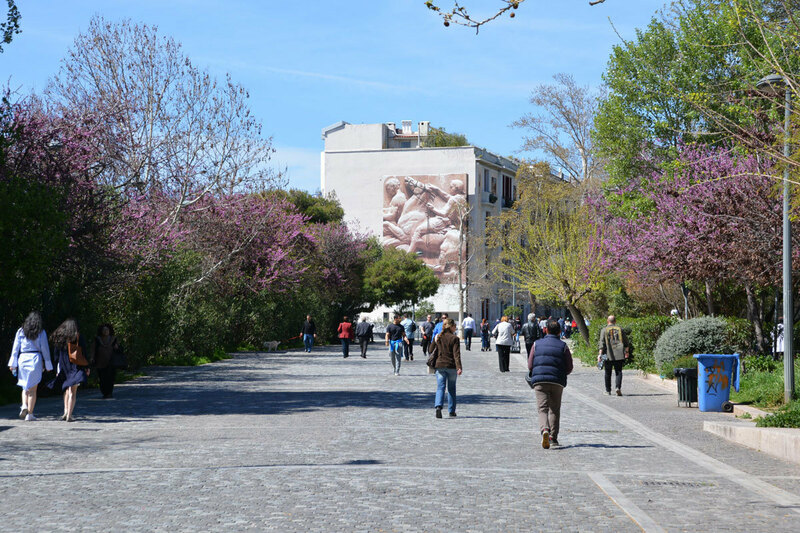 The longest pedestrianized walkway in Athens puts you right into an open-air museum. Great views of the Acropolis can be admired as you stroll down the wide stone and brick path that is lined with relaxing cafes. It is a great way to observe the calm of Athenian life, including Greek families out for a walk, children playing, street musicians performing as well as artisans selling their handmade goods. 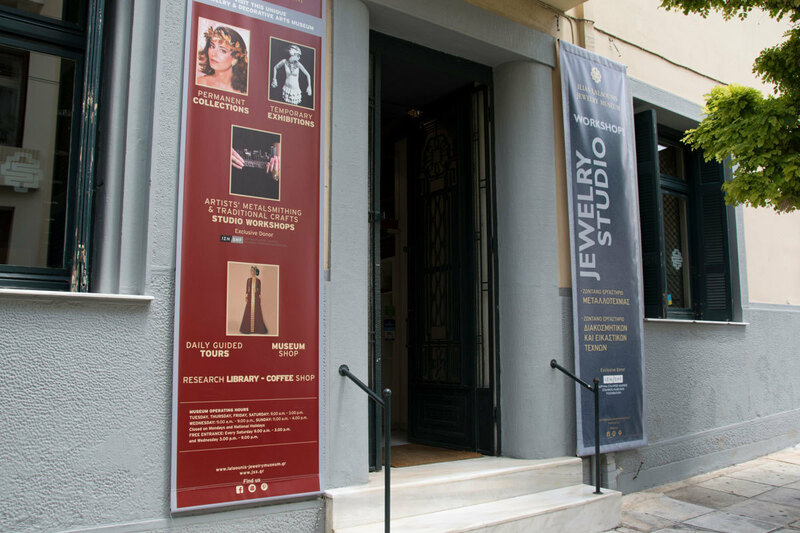 The Ilias Lalaounis Jewelry Museum is a showcase of Greek jewelry and the decorative arts. Founded in 1993 the permanent collection features 4,000 pieces of jewelry and micro sculptures from over 50 collections designed by the museum’s founder, Ilias Lalaounis. The city is dotted with cozy yet sophisticated wine bars, perfect for trying some of Greece’s best varieties. Within walking distance to our hotel are two favorites of ours: Wine O'Clock (Lempesi 10) and Winepoint (Porinou 2). Athens is a mecca for the arts. Another one of the top things to do in Makrigianni is check out the fantastic galleries that display the imaginative, meaningful and impressive works by local and international artists. The Eleni Marneri Galerie (Lempesh 5-7) is a wonderful gallery to peruse handmade jewelry and local art. The nearby Technohoros Art Gallery (4 Lebessi) is a local favorite – a cultural center and art gallery in one. If you can’t miss that game, one of Athens’ top sports bars is right by our hotel. At the Athens Sports Bar (3 Veikou), locals and travelers gather to watch various televised games. There’s always something on! Makrigianni is a part of one of Athens’ most central and exciting neighborhoods. The Athens metro is also just five-minute walk from our front doors as well as other modes of public transport and taxis. 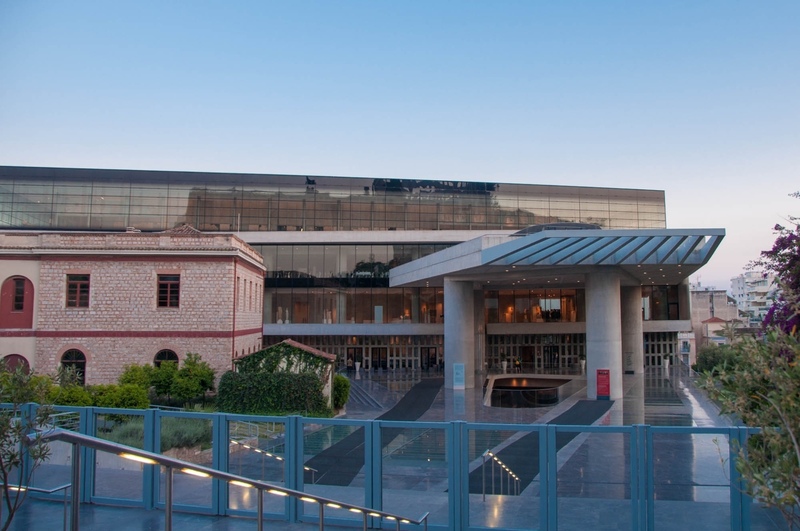 What we love most about our neighborhood is that it is associated with the Acropolis, one of the most eternal monuments of the city, and the beautiful Acropolis Museum. What’s even better is that both landmarks can be admired from our summer rooftop restaurant bar and terrace, POINT a.